Despite posting losses for several years, retail (boxed) software sales grew in 2010 to some $2.42 billion. Microsoft controlled over one-third of that particular market during the year. 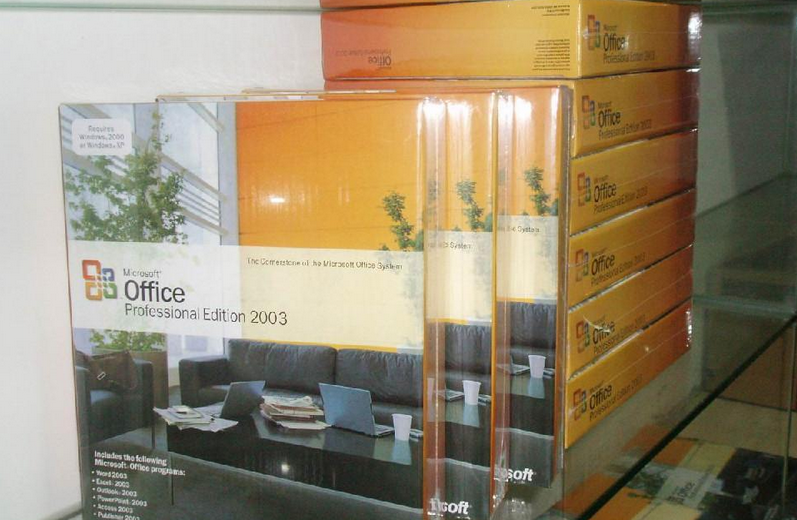 According to the NPD group, strong sales of Office 2010 drove Microsoft’s numbers. Microsoft, along with Intuit, Apple, Adobe, and Symantec controlled 78% of all retail sales. While you might have guessed that all software sales would quickly move to the internet, which they, in a way, are, it must be remembered that software-in-a-box is still a multiple billion dollar industry. Office 2010 has been a blockbuster product for Microsoft, driving revenues over the past several quarters. While Office 2007’s shocking redesign limited its commercial viability in the eyes of many industry pundits, Office 2010 has shown that consumers are willing to move to a ‘ribbon’ interface given time to move adapt. Here is an interesting question to ask yourself: when was the last time you saw someone at Staples picking up a $250 box of software? I can’t ever recall that ever happening to be frank, and yet this specific sales channel has massive sell-through. Long term? TNWmicrosoft fully anticipates complete digital distribution of Microsoft products. In fact, your humble author purchased his first copy of Windows 7 off of a Microsoft website, with no need to put on a shirt and walk outside. So long as this channel exists, it seems that Microsoft is prepared to dominate it, but let’s hope that when DVDs go the way of the buffalo Microsoft has its digital sales system perfected.